A Krishna Conscious person means one must control the senses properly. He does not like to read anything except topics relating to Krishna; he does not like to eat anything which is not of offered to Krishna; and he does not wish to go anywhere if Krishna is not involved. Therefore, his senses are controlled. Has anyone got control over three modes of material nature and the senses? Who can tell I have control over senses? 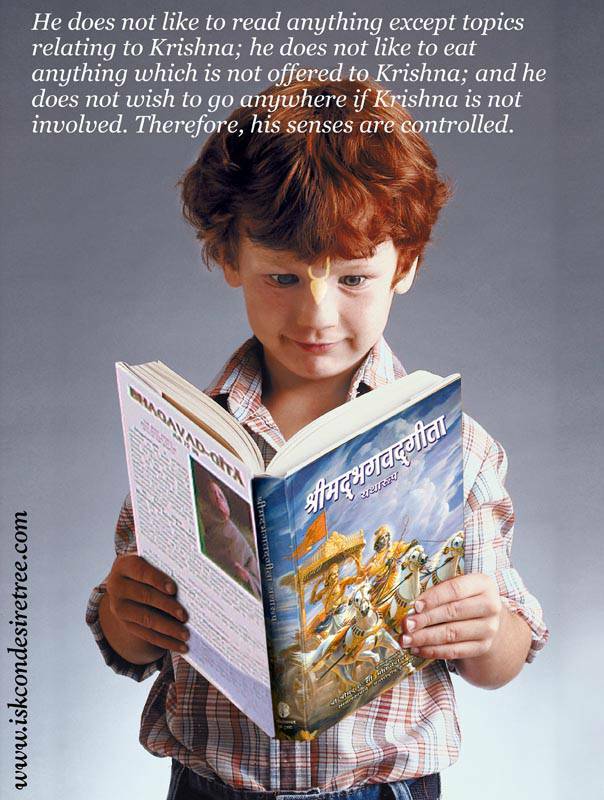 It is only a devotee who controls senses. How? By engaging them in Krishna’s service, by surrendering in Krishna’s service. If you control your senses, you will conquer the world you live in – and that world is between your ears! (your mind).